I've finally been catching up on the first season of the TV series House of Cards. The hero, House Majority Whip Frank Underwood, played by Kevin Spacey, is a ruthless and cynical politician interested in obtaining power and using it. He repeatedly gets the better of his adversaries by his willingness to resort to lies and tricks, implying that such unscrupulousness is necessary to get ahead in politics, and that those who are unwilling to resort to underhanded tactics are going to be left behind. It's a popular view of negotiation in general, that successful negotiators need to use trickery and deception to get the better of their adversaries on the other side of the table. The trouble is that the more we buy into this view, the more there is going to be resistance to resolving conflict through negotiation. After all, why should parties in conflict choose a process of resolution in which the outcome is determined by lies, tricks or games? Unless they think they are masters of negotiation themselves, or that they can hire experts to help put one over on the other side, it would seem more natural for litigants instead to prefer a system with procedural safeguards designed to provide transparency and fairness. We can't take pride in suggesting that parties resolve conflicts by means of sleazy, backroom deals. What we should take away from popular depictions of the ruthless master negotiator is that this style of negotiation is not only distasteful, it also carries serious costs and risks. And it doesn't always even work. When Congressman Underwood gets the better of the teachers' union in negotiations by lying to them about what is going to be contained in the final Education Bill, they retaliate by causing a devastating nationwide teachers' strike. When he causes scandals to derail the ambitions of political adversaries, he creates enemies. The real message of a show like House of Cards should be that cheating, lying and other underhanded tactics do not necessarily lead to good results at all, and these methods also cost their practitioners their souls. And to some extent the show does communicate this message, though as with other anti-hero dramas like The Godfather, the show still ends up glorifying the despicable lifestyles it is condemning at the same time. We don't see much on House of Cards about whether the underlying interests of these politicians are being satisfied by their games, or whether they are accomplishing anything of substance at all on a policy level. All we see are empty power struggles. As the title of the show suggests, this is the kind of game that can only lead to collapse. 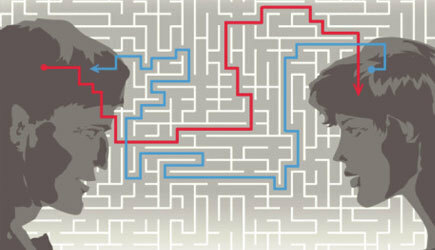 People need to understand that the way negotiation actually works is by a process of communication and understanding that allows each side to appreciate both their own and the other side's points of view and interests, and to design solutions that best serve both side's interests. A process that is about winning at any cost is not designed to satisfy either side's interests, and should also never be accepted as a legitimate form of conflict resolution.